In 1994, understanding the threats to sea turtle life were ever increasing, a small group of representative countries decided to make an effort to protect and preserve sea turtles and this seminal group, named the IAC, knew they would require the cooperation of a variety of coastal American countries. In May of 2001, the Convention came into force after the ratification of the eighth nation was added to the treaty. The Convention currently contains fifteen signing countries, referred to as the contracting parties, from throughout the two American continents and throughout the Caribbean. These countries include Argentina, Belize, Brazil, Chile, Costa Rica, Ecuador, Guatemala, Honduras, Mexico, The Netherlands, Panama, Peru, the United States of America, Uruguay, and Venezuela. The unification of these nations in the IAC builds a foundation of a multinational and coordinated effort to save sea turtles. These measures are intended to preserve and reestablish populations of sea turtles and their habitats, upon which they depend, to the best of the parties’ ability. The Inter-American Sea Turtle Convention has two subsidiary, supporting parties that help achieve the mission of the IAC. The first is the Scientific Committee, which conducts and analyzes research regarding sea turtle biology and population changes or dynamics. 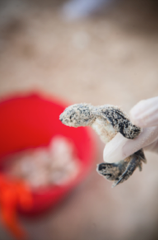 Their research is intended to discover new and inventive means to promote sea turtle welfare. The second is the Consultative Committee, which takes in consideration the findings of the Scientific Committee to develop practices for conservation and management. In addition to recommending new methods, they also continually review existing practices for efficiency and effectiveness. As outlined in a resolution of the IAC, the organizing office is the Secretariat that organizes events and conferences of the convention, issues reports and recommendations or decisions to the parties, and facilitates communication between the parties and other concerned entities. Ms. Verónica Cáceres Chamorro manages the office of Secretariat, which is currently located in Arlington, Virginia.